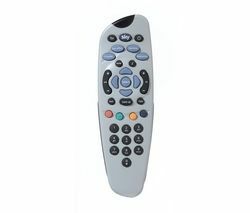 Buttons, zapper, hoofer doofer – whatever you call it, the remote control is a handy little gadget. These days you can control everything from your TV and Sky+ box to your hi-fi, sound bars and lighting with the right remote. Universal remote controls are compatible with lots of devices, making them a great option of you’ve lost your remote and need a replacement. Choose a universal model and you can control a whole range of devices from one hand-held remote, giving you multi-functionality and convenience. Our universal remotes can control up to 15 separate devices, while our dedicated Sky remote controls can control your Sky box and TV at once. 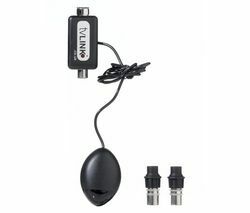 If you've broken your remote our One for All TV remotes are specially designed for different brands of TVs. So you'll know where all the buttons are immediately. LCD touch screens give you easy one-touch interaction with your home entertainment and make controlling easier. You can save your favourite channels to your remote control for instant access and easier repeat recording. Rechargeable battery models means you don’t have to worry about changing batteries anymore – just place your remote in its charging stand to keep it powered up. Whether it’s to replace a lost remote or to give you the convenience of controlling all your devices from one handset, our remote controls are a great solution. Check out our full range of TV accessories for more ideas to help you get more from your home entertainment experience.